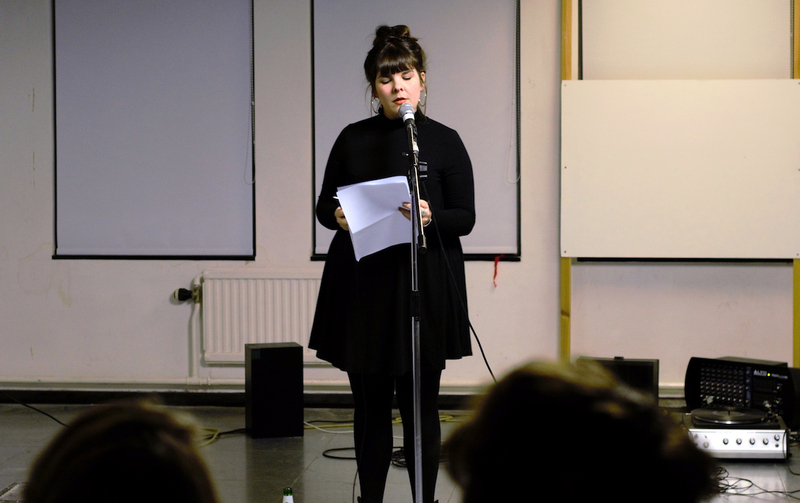 ESP member Freya Dooley is performing a spoken word performance called The Host, at fs Liverpool as part of Reading Week at CBS Gallery and Studios. In March 2019 Freya will also be opening her solo-show at Eastside Projects. The performance is a text-in-progress read aloud about parasitic pop songs and a mind occupied. Things related and unrelated. Stops and starts. The performance will act as a fleshing out, an itch, a thinking aloud. A fourth draft of something not-quite. A part of, a gesture towards, an untangling. A feeling of sticking, being sticky, being stuck. Part exhibition, part contemplative study space, ‘Reading Week’ sees a series of invited artists initiate peer support and study whilst presenting live works that deal with text and reading, words and speaking, linguistics, language, looking and learning. 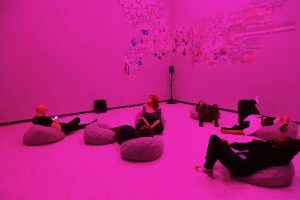 Situated around a specially made, malleable seating installation influenced by a collection of egg cups, an ongoing Reading List will be nestled there too, with the installation playing host to two Saturday afternoon Reading Groups also. All kindly housed in the gallery at CBS.